Sen. Elbert Guillory (R-Opelousas) will be honored as Man of the Year at the annual Ronald Reagan Man of the Year Luncheon Friday, Nov. 1. The event, which is sponsored by the Republican Party of East Baton Rouge Parish, honors a political leader who best represents the philosophy of the late President Ronald Reagan. It will be held at 11 a.m. at the City Club, corner North Boulevard and Fourth Street in Baton Rouge. Tickets are $250 a person for the event, which is the only fundrasing event for the local GOP each year. The party uses the funds to assist Republican candidates and to help with office expenses. The keynote speaker for the event will be U. S. Sen. David Vitter, who will speak on key issues facing the U. S. Senate. Guillory switched from Democrat to Republican earlier this year and has created a sensation because of his forthright defense of conservative principles. Since then, Guillory has appeared multiple times on Sean Hannity, Rush Limbaugh, and many other national shows. When he switched parties, he became the first black Republican in the legislature since Reconstruction. However, further research showed that he is actually the only black Republican in the State Senate of any state in the country. Even before he switched parties, Guillory had established himself as a conservative champion in the Louisiana Legislature. 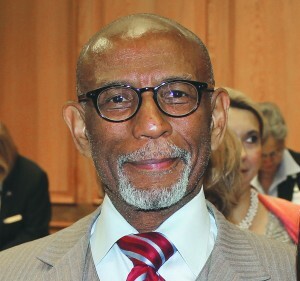 Guillory gained recognition in Baton Rouge because of his pro-family voting record and his support for the Southeast Baton Rouge Community School District in the State Senate. For information on purchasing tickets, call 225-921-1433.